Technology regarding assets is moving at a fast pace. The ability to accurately monitor and track assets is of paramount importance to many industries and can protect the assets that a company has. Radio frequency identification (RFID) technology is one way that any company can track their assets accurately. It works by way of attaching or embedding a radio device to an asset so the precise location of the asset can always be recorded. It uses electromagnetic fields to track the tag that is attached to the asset. The tags contain information that identifies the asset, so the company and its customers will always know where it is. When this technology was in its infancy, RFID chips were relatively expensive and were used to track high-value assets to ensure that they were not stolen or left the business in another way. It was a useful way of tracking the high-value items that any business must protect in order to maintain its profitability. This was especially useful to companies that had a high level of shrinkage through interaction with the public, such as retailers. The ability to track the location of an item is crucial if these assets are regularly stolen; knowing the precise location of the item will aid in its recovery. Added to this is the fact that RFID technology can be matched to an alert system at the exit of any store so the people who work there or the security staff can be alerted when an item is taken from the safe areas of the store and potentially stolen. As the RFID chip passes a certain point, it will trigger an alarm, making it immediately obvious that the asset is being removed without permission. Store employees are tasked with removing the RFID tags from all items that are paid for legitimately. Other uses for RFID in the workplace do exist. The fact that the costs of the RFID technology have lowered means that they can be used more widely. One such area is in the management of the people within the business. Using RFID technology to track people has many benefits. Precise tracking of where people are means that you can produce accurate assessments or reporting on how the employees interact and operate within the business; it also allows accurate payroll based on the exact hours worked. This can all be delivered by the use of UHF, HF via proxy card integration for entry and egress, so that one would be able to virtually see what human resources are in the company location and where they are located. In modern business, there is a need for a flexible workforce, so the added benefit of better understanding employee location and distribution can allow employers to redistribute excess capacity to other areas of the business—especially those that need additional support, such as a sales event in a store or an increase in inbound processing or outbound spike in customer orders in a warehouse facility . When it comes to payroll, the RFID technology system can work in a similar way to the way it does for retail products. As someone passes a certain point, they become active in the business and start to be paid. As they leave for a break or the end of their shift, then the time they are being paid for ceases. RFID technology allows a company to track where people are deployed, pay them accurately, and give an overview of where the money is being spent on labor. These systems can be subject to a little abuse as one person may clock in others with their RFID cards. However, tying this system to your CCTV or RFID interactive tablets loaded with facial-recognition or other biometric software will help to identify and mitigate this practice. It empowers the company to stop time theft and to protect the workers who are abiding by the rules. Attaching an RFID chip to a product as a matter of course allows the entire inventory to be tracked. The length of time a product or component sits before being used or sold is a vital piece of information. It allows companies to become more efficient and hold an inventory that matches business needs. In addition, you can see where the units are leaving the location and break this information down to more detailed levels of information, such as the category, the times of the day they are leaving, which exit they leave by, and for store locations, whether they have been paid for or not. The information that a business can gather on this level will allow them to deploy their sales teams effectively, make sure security resources are accurate, and keep sufficient levels of stock for high-moving items. Once a company has accurate information related to their assortment, they become more efficient and more profitable. In order for a company to be most efficient, they need to have relevant hardware available to the right departments or teams at the right time. However, some devices are shared among different teams. Situations often arise where teams compete for precious time on shared devices. 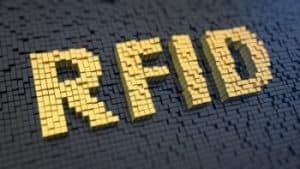 RFID technology can produce information that can be used to monitor location and usage of these devices to see that they are being used in the most productive manner. For instance, if one team collects a device early in the morning because they will likely need it in the afternoon, then this device may be lying dormant for several hours. Another team may be able to make use of that device in the meantime, thus maximizing its ROI as hardware is usually a capital expense versus an operating expense. Devices can often go missing in a busy work environment and this missing device causes a lot of wasted time as people look for it and then potentially wait for a replacement if it cannot be found. Using RFID technology to accurately locate the device saves time and investment. The hardware that any company owns represents a significant investment and needs to be looked after. Devices can be mistreated, stolen, or accidentally misplaced. An RFID system gives any company a grip on where their hardware is, which can be matched against where it should be. When a business hits a crisis situation, they need all hands on deck. Sometimes you need to pull out all the stops to resolve a crisis or match a spike in customer demand. 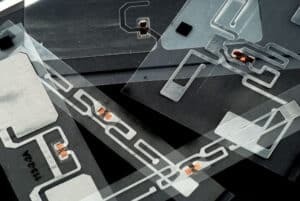 RFID technology allows a company to quickly and accurately see where all of their equipment is to make those fast decisions to resolve issues. Having the most up-to-date information will allow the best decisions. RFID can provide a virtual inventory of all the heavy equipment needed to get the planning right and aid the effective reaction and recovery stages. Where are my pallet trucks? Where are my tow tractors? This practice has allowed companies to build out trailers with such equipment pre-event and deploy to locations that are going to be impacted from a planning phase. From a reactionary or recovery phase, the same principle applies but usually the build out would be from a closer geographic location to compress time to deployment. Sometime a business faces a real pressure situation such as a violent incident. The focus on these events is to mitigate the event with an overwhelming concern for protecting the team members in the location. RFID allows you to see where your people are and whether they are at risk. Matching this up with CCTV systems gives a far more accurate view for your operations, security, and law enforcement partners. By having an integrated system, you could technically share your screen with outside entities or agencies when needed allowing first responders to see where team members are located. The combination of RFID visibility and your CCTV systems gives them the best decision-making opportunities possible. It allows companies to implement security and crisis management protocols to get the situation under control as quickly as possible while protecting employees and assets. Many modern companies ship their items and assets long distances and over international borders, often via third-party companies. It is vital to be able to see where assets are to have control over the process. You want the peace of mind that your items are being transported where you want and in the timeframe agreed. RFID tied into a GPS system allows logistics managers to see which items were shipped or planned to be received and GPS gives you that, “finger on the pulse,” even when they may be thousands of miles away. Cutting-edge locking devices with RFID software integrated are available as well. There are sophisticated devices that can be used as RFID scanners for RFID-tagged items and then converted to an encrypted locking device that is used to secure the trailer doors as well. This means that you can effectively lock the items until they arrive at the correct destination before transmitting an unlocking code that will allow them to be scanned and processed. RFID is one of the best-kept secrets in asset protection. It has been presented so far as an item-level inventory management ancillary tool. However, when you step back and begin to take a holistic view of all of the bits and pieces, one quickly realizes that it can do quite a few things for asset protection and loss prevention organizations with both brick-and-mortar or supply-chain responsibilities. RFID technology is one more tool in the toolbox that can also assist from a data-sharing perspective, similar to the way that asset protection teams from different companies share elements of shoplifting events with one another. The difference is, RFID data potentially provides a far larger scale that could be used as a force multiplier within our industry. This post was originally published in 2016 and was updated May 16, 2018.